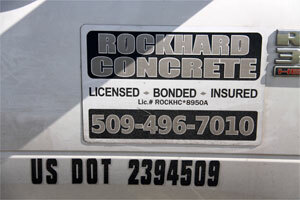 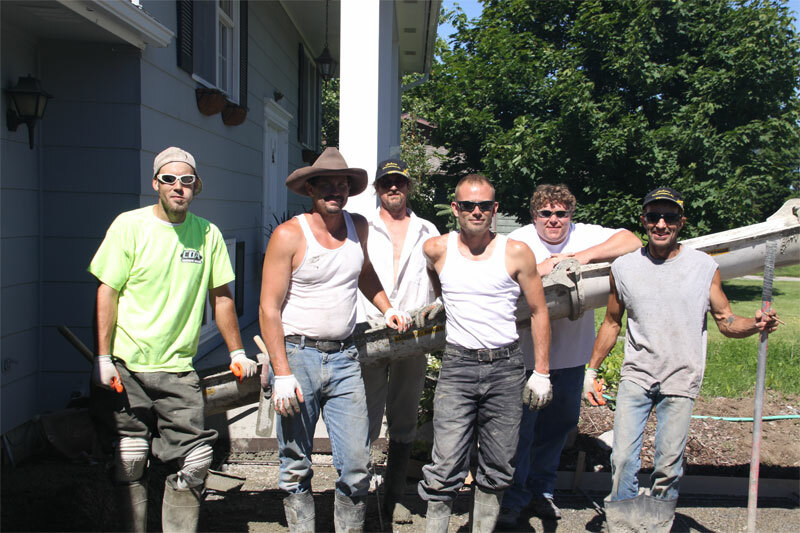 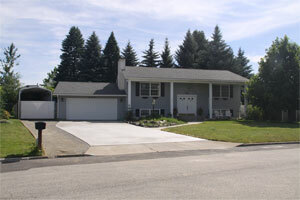 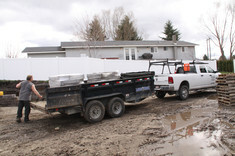 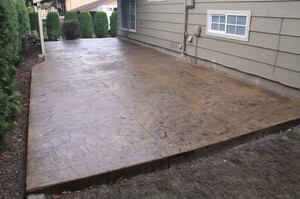 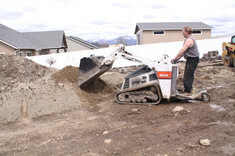 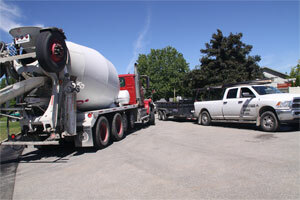 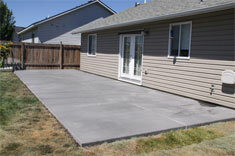 I have been working concrete since 1994 and started RockHard Concrete in 2003. We do the complete job from start to finish: design, set-up, finishing, and ground/dirt prep with 100% compaction, which is my main concern. 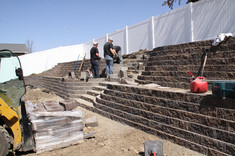 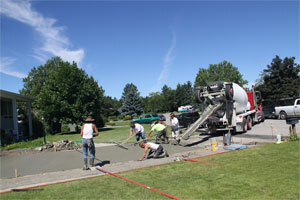 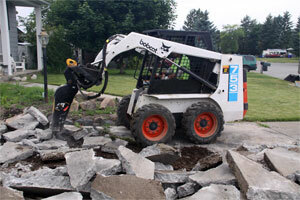 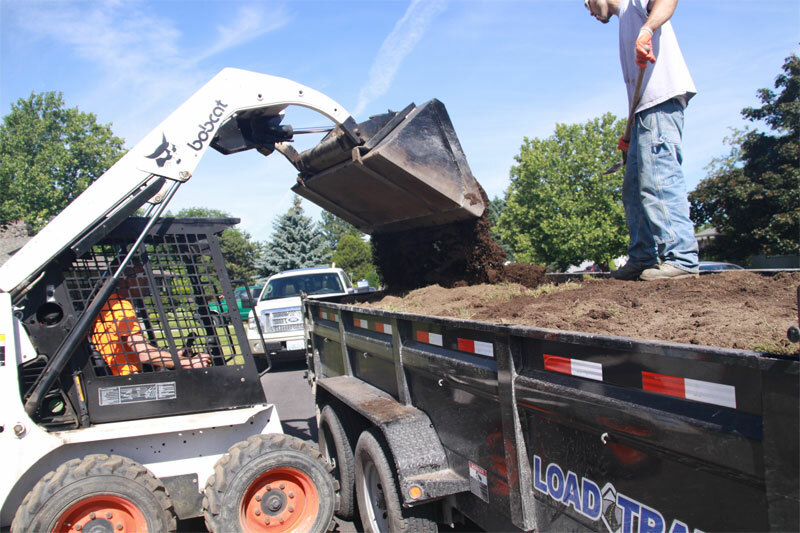 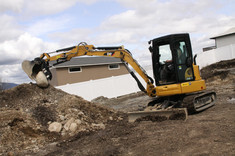 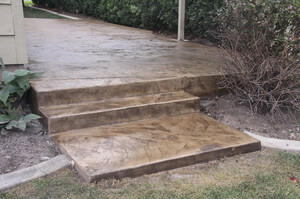 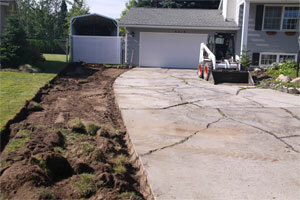 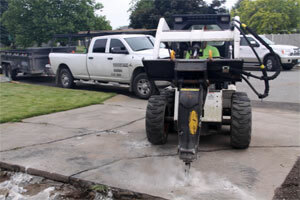 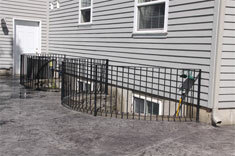 We work with sidewalks, driveways, retaining walls, porches, polebarns, patio decks and pool decks. 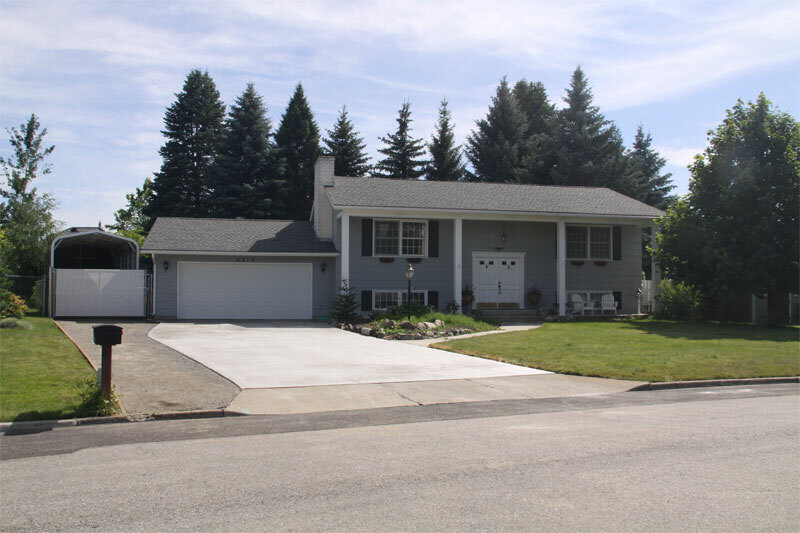 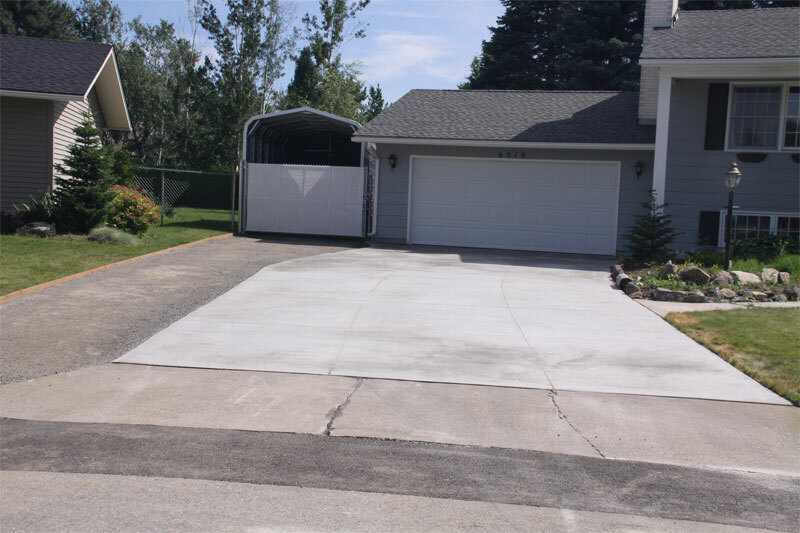 We provide driveway broom finish, stamped concrete finish, swirl broom finish, polebarn smooth finish, back patios, acid stained concrete, pool decks, sidewalks, basement slabs, porches and retaining walls. 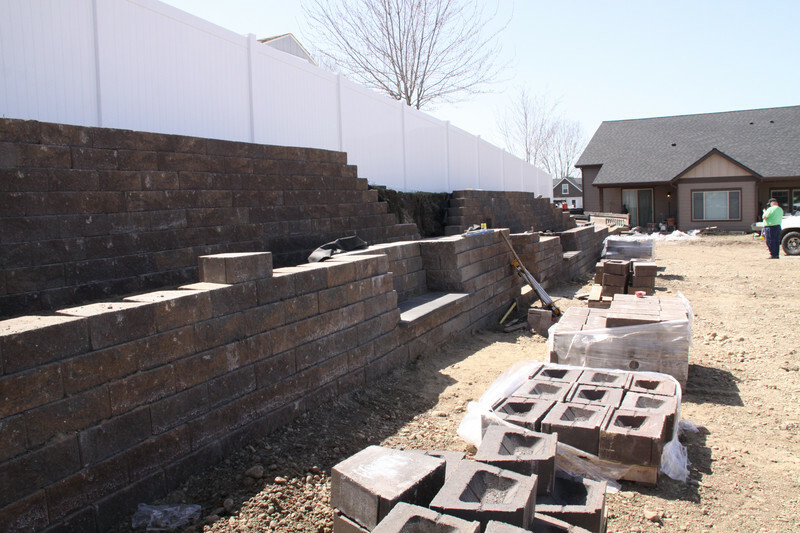 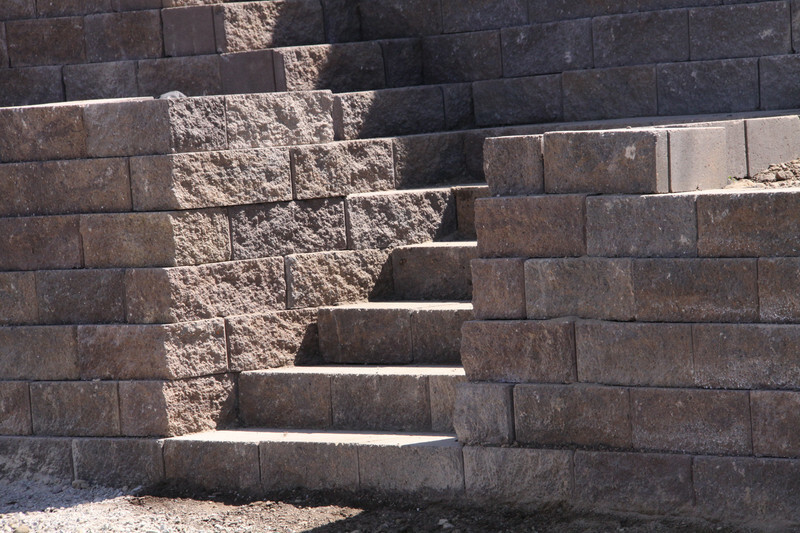 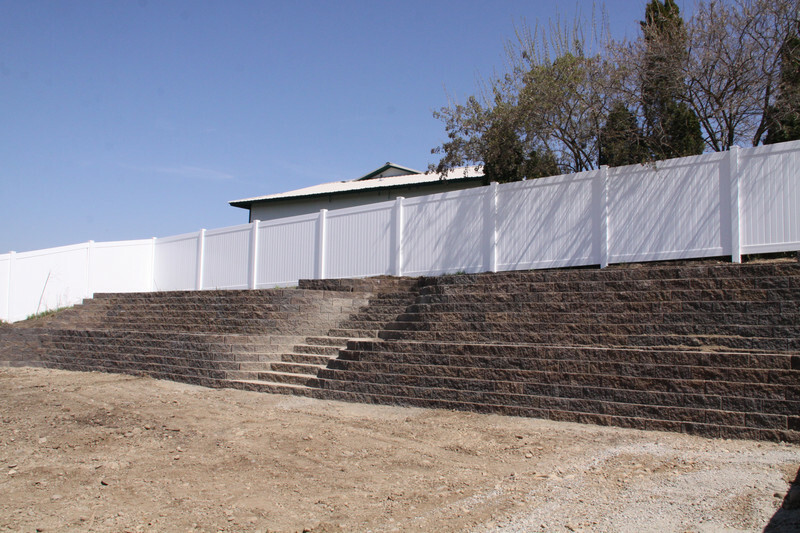 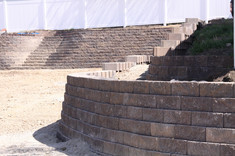 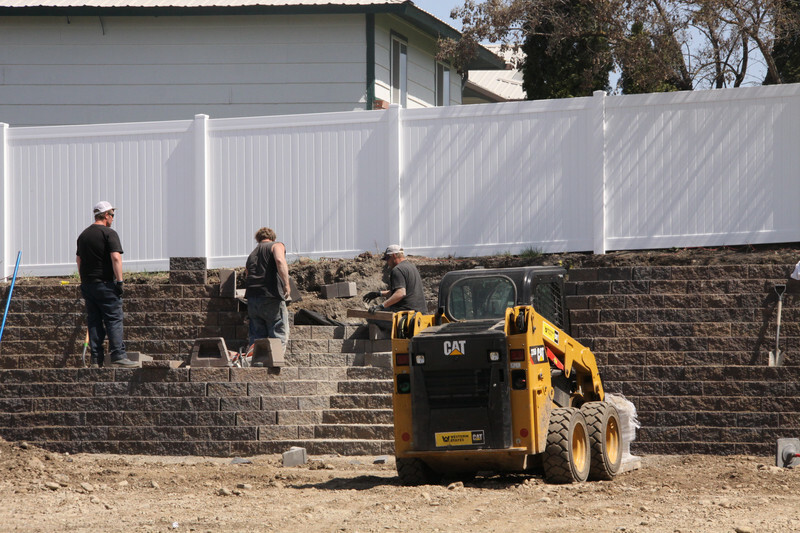 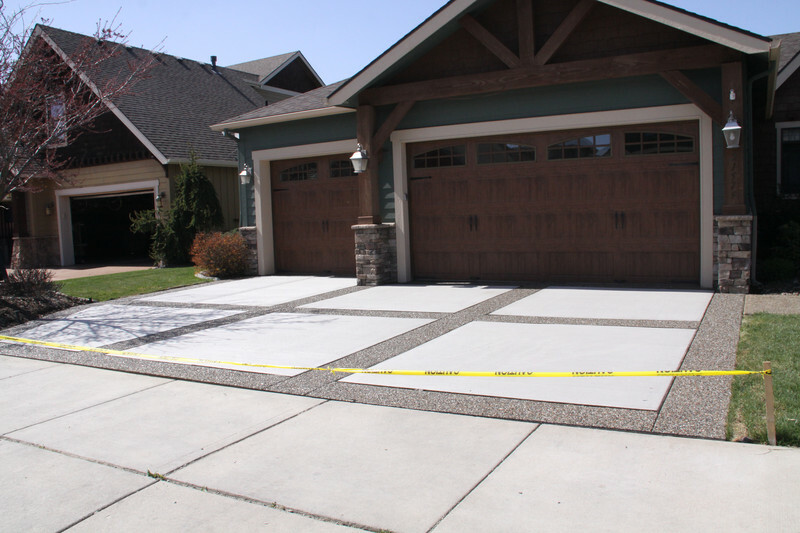 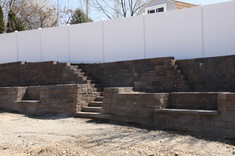 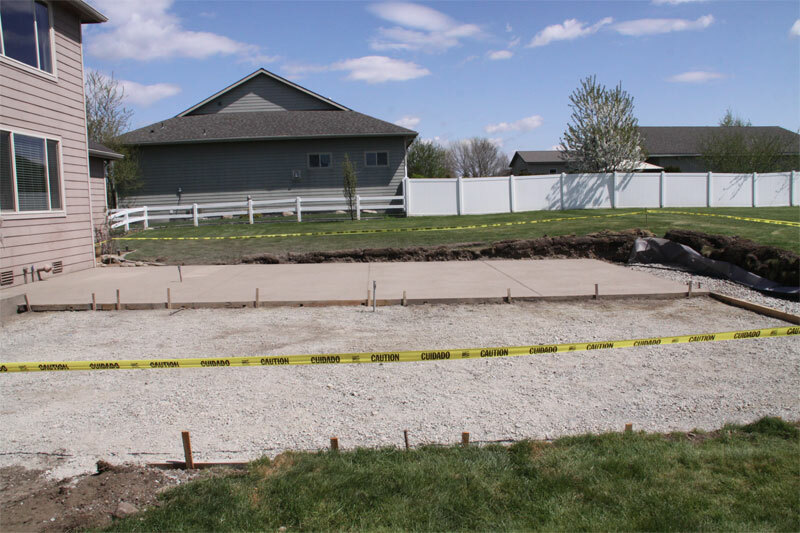 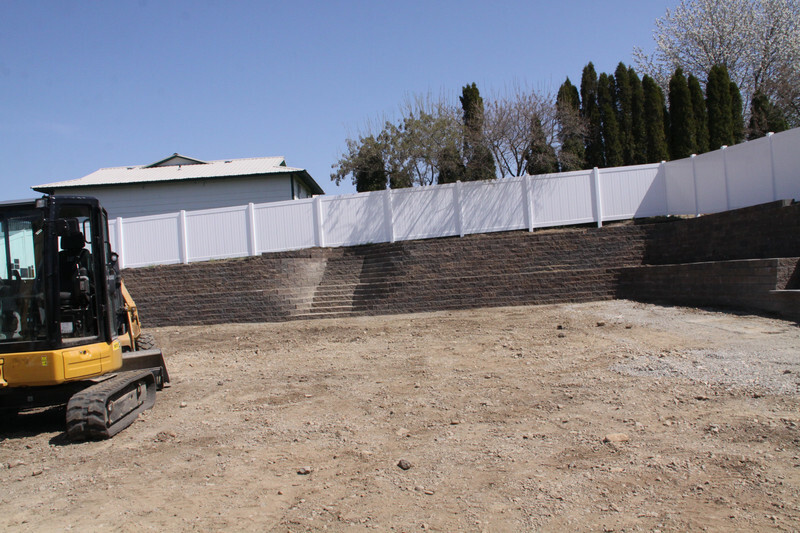 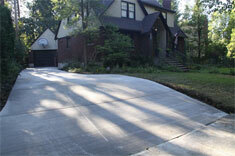 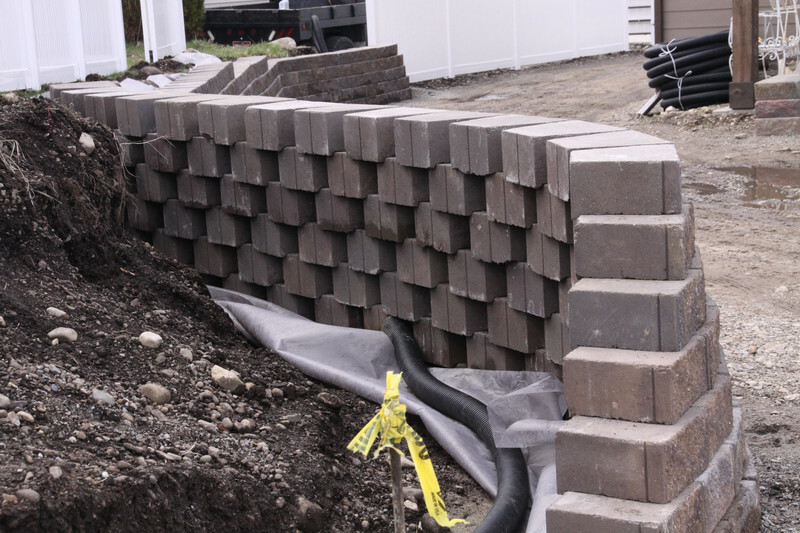 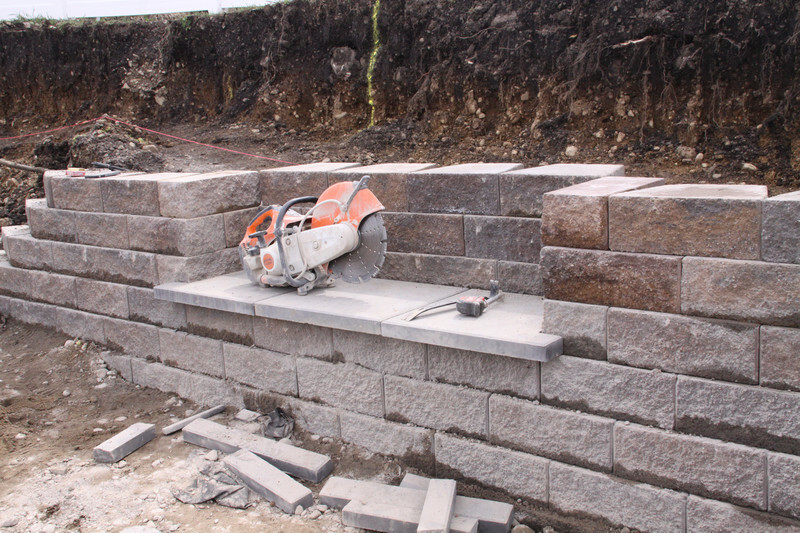 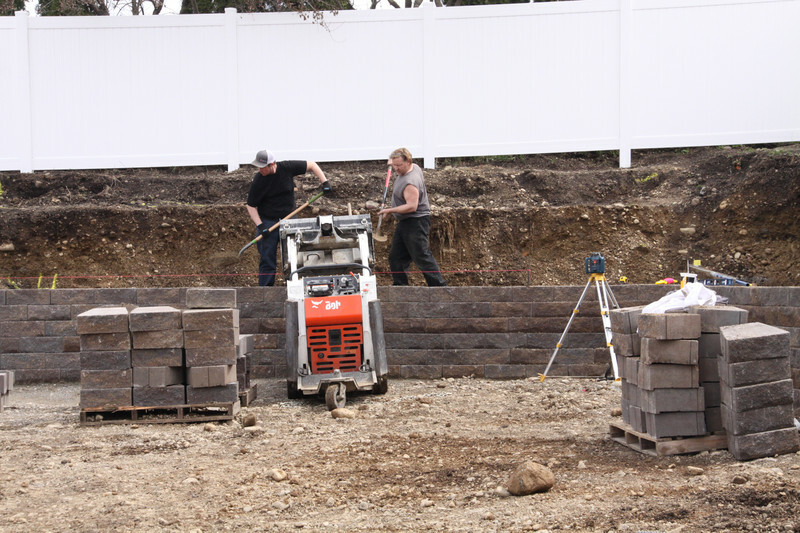 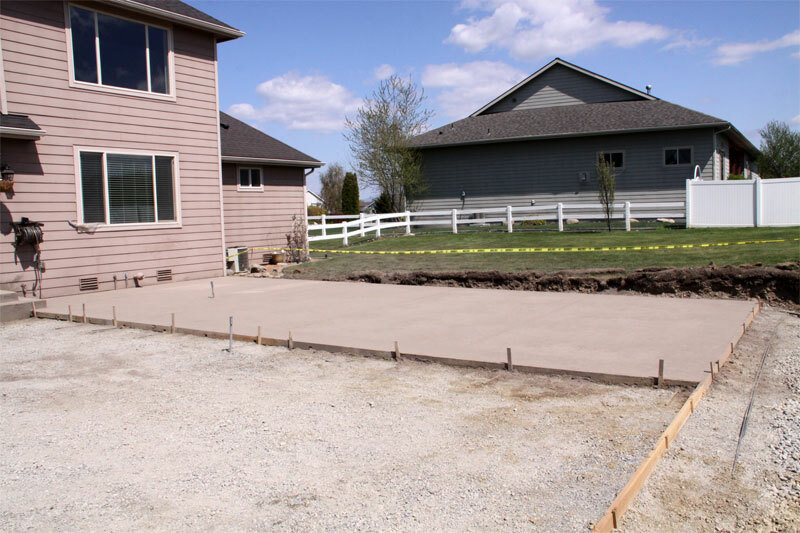 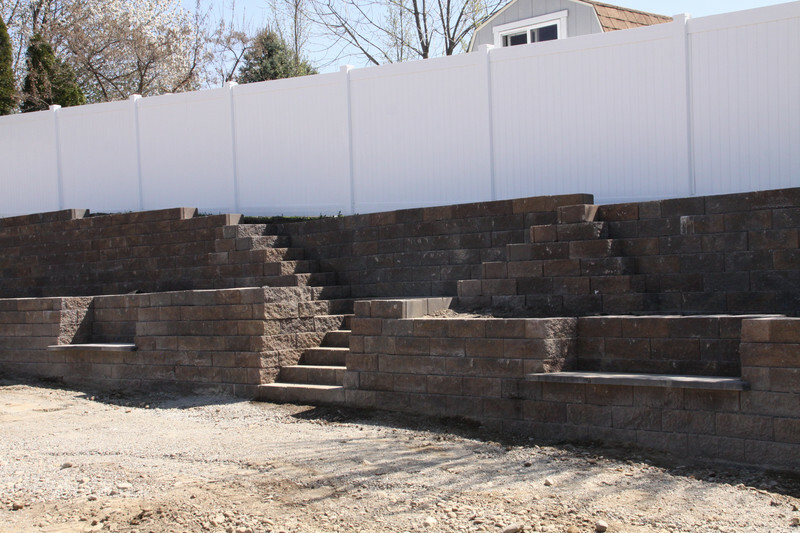 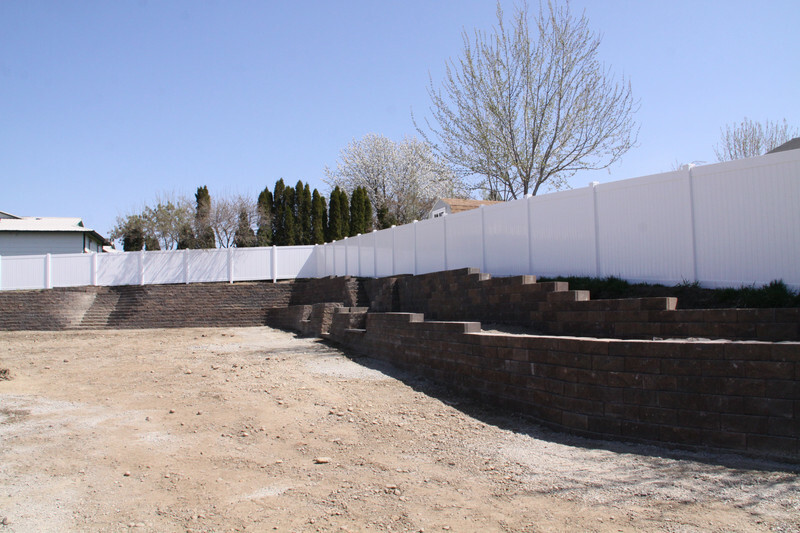 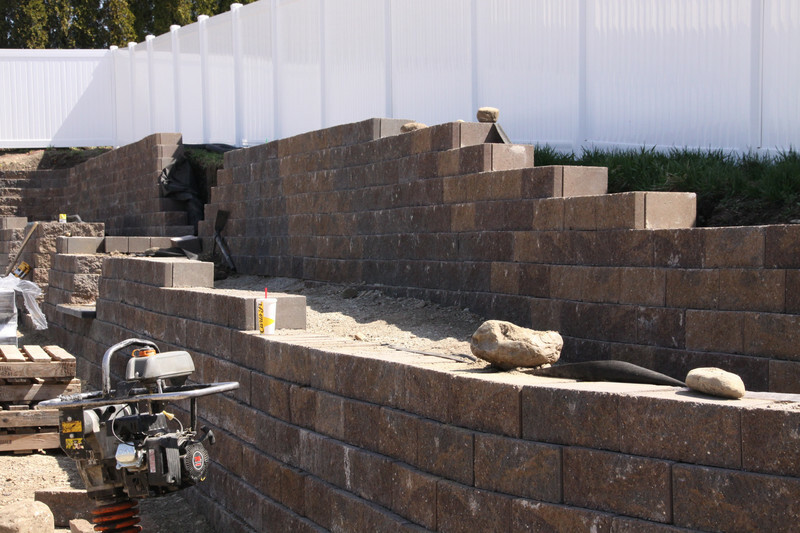 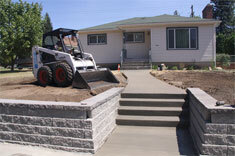 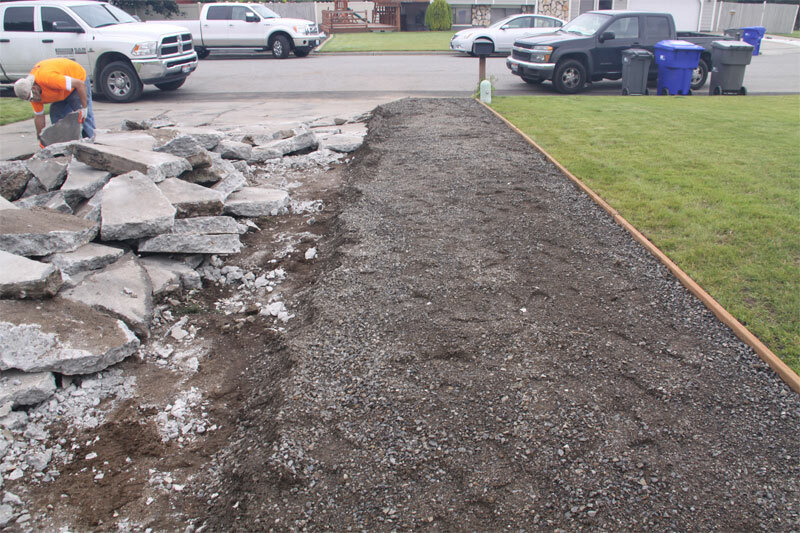 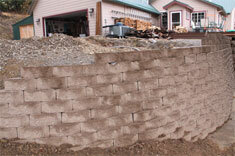 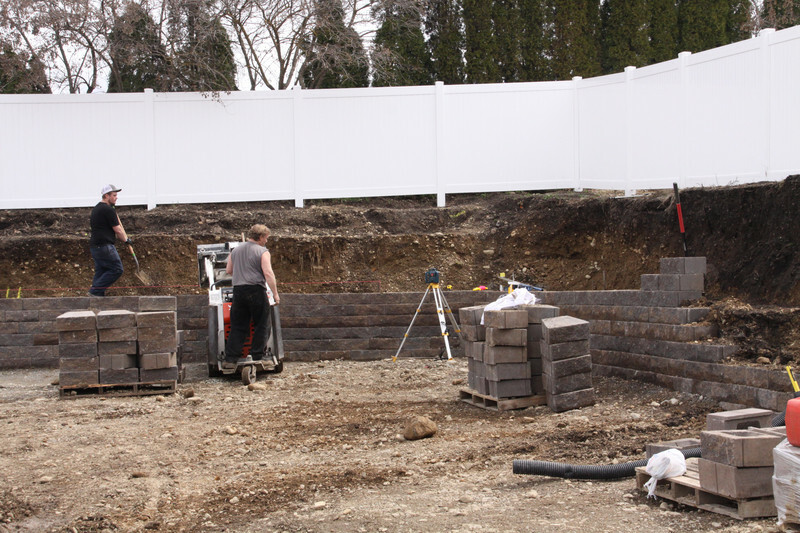 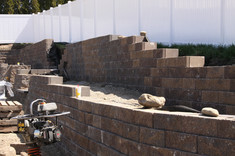 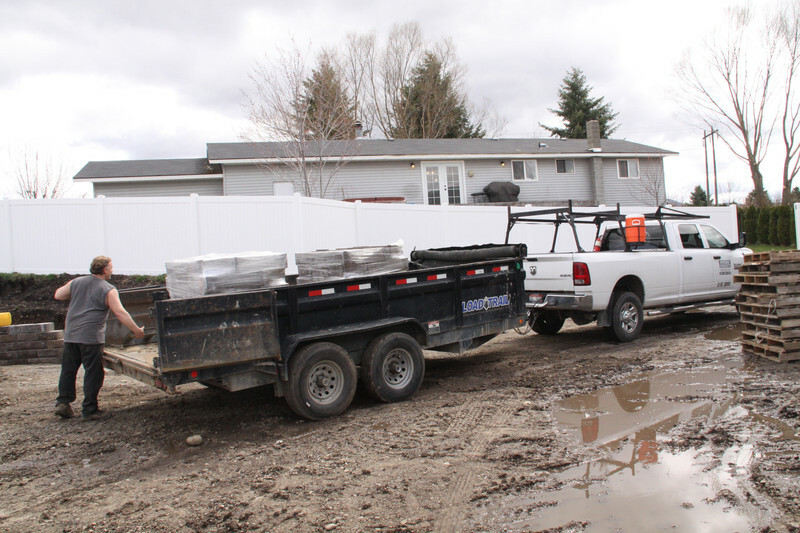 Have you been thinking of having your driveway or concrete stamped, stained, or build a retaining wall? 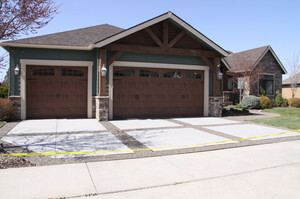 Do you think it's too expensive? Do you think you can't afford it. 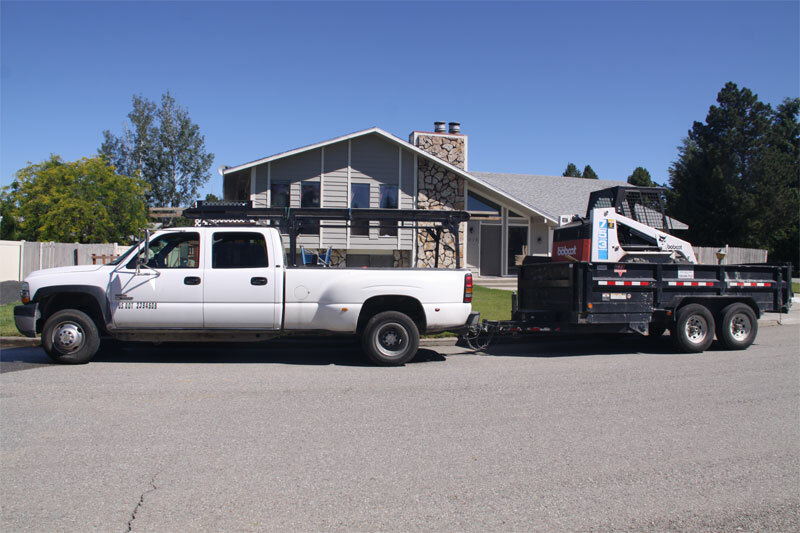 Call me today for a free estimate, As the owner/operator, I Daniel maintain a low overhead and pass the savings on to our many satisfied customers. 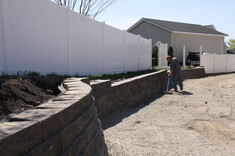 With over 24 years of experience, I understand what it takes to make your property beautiful. 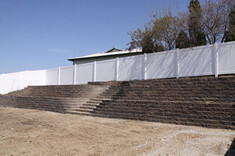 Call us for your free design and consultation. 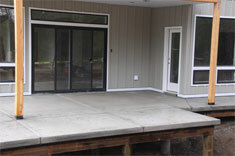 Let us show you what we can do for your home and property. 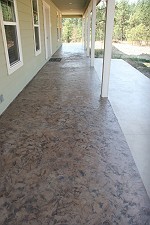 Click pictures to see more of our work. 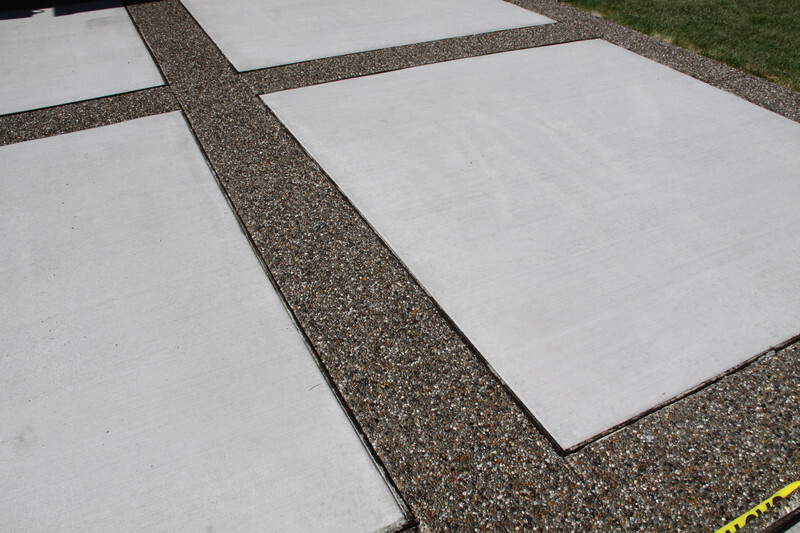 Used for traction on sidewalks, driveways, back patios. 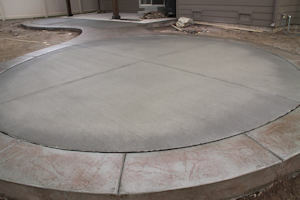 The broom is moved in a straight lined motion. 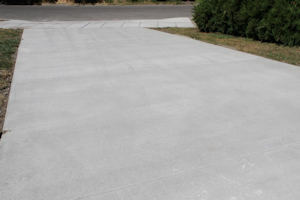 Used for traction. 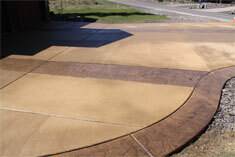 A circular motion broom that is designed to reflect light and give a patterned look. 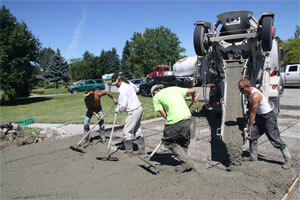 Used so the concrete will crack at the joint during cold and hot spells. 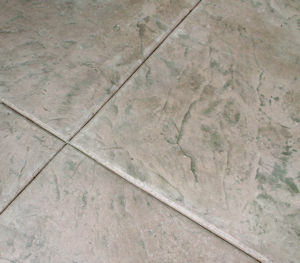 Notice how straight the joints are cut. 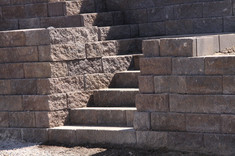 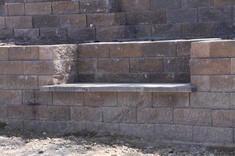 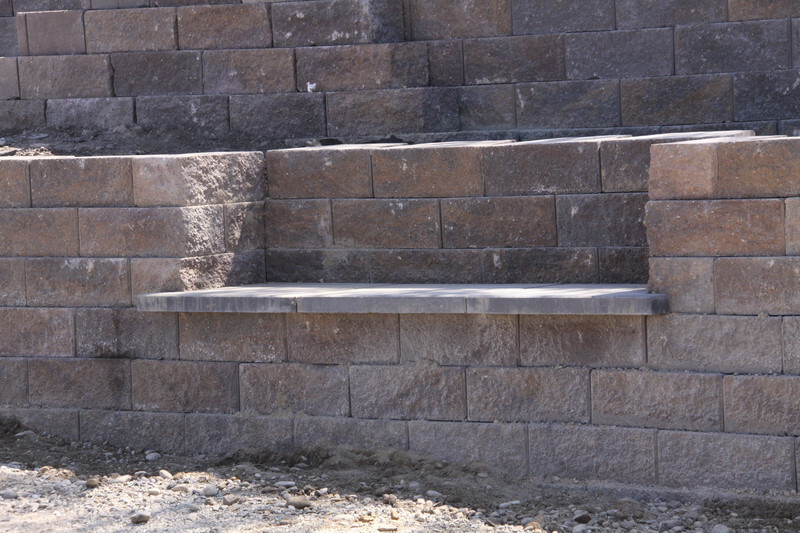 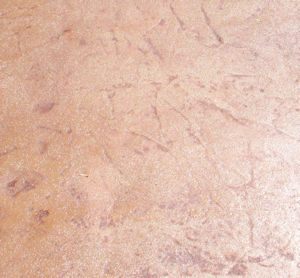 A pattern stamp finish is used to mimic the look of cobblestone, brick, slate etc. 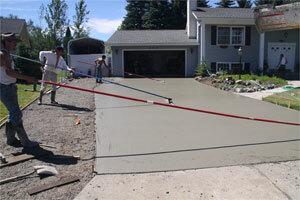 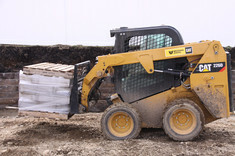 Used for shop floors, garages and basements.